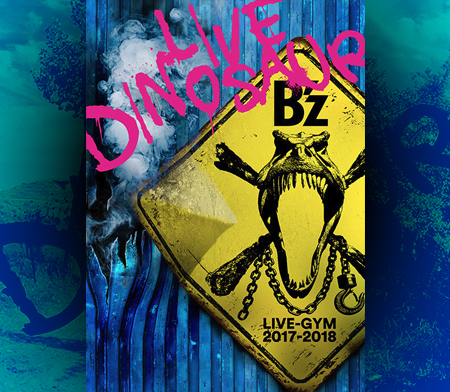 The recently released home video of Koshi Inaba’s 2016 solo tour 「Koshi Inaba LIVE 2016 ～enIII～」 has gained the pole position on both the general DVD as well as the general Blu-Ray Oricon charts. The home video release sold 12,000 copies on DVD and 23,000 copies on Blu-ray in its first week. Koshi’s last solo home video release of “en-ball” only managed to score second place in the Blu-ray charts in its first week on sale. 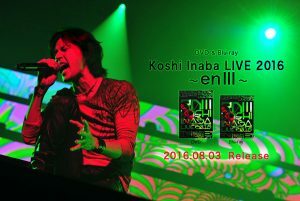 With the release of “enIII”, this is Koshi’s first home video release to be #1 on both DVD and Blu-ray charts.